among the Raghu dynasty. The giver of the four attainments of life. removing all my miseries and blemishes. 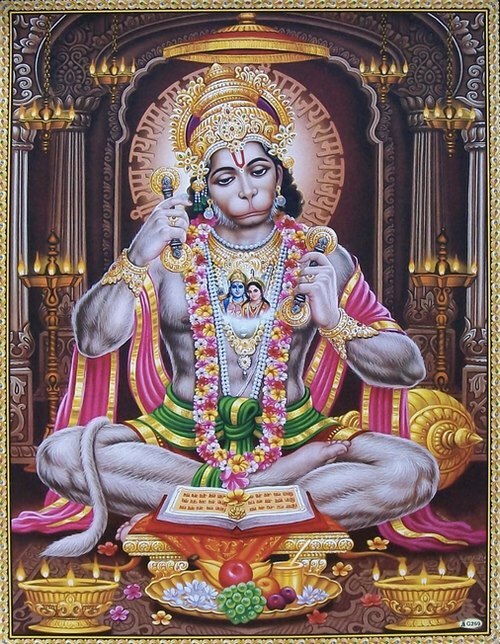 the Lord of monkeys who is well known in all the three worlds. companion of good sense and wisdom. wearing ‘Kundals’ ear-rings and his hairs are long and curly. other a banner with sacred thread across his shoulder. universe. The entire world proptiates. You are adorable of all. 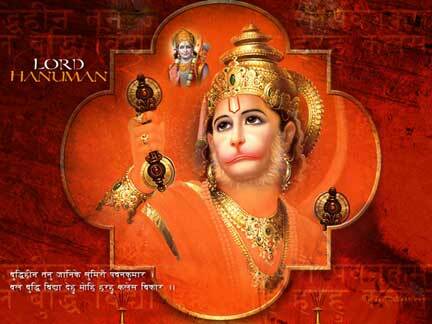 You are intensely greedy for listening to the naration of Lord Ram’s lifestory and revel on its enjoyment. 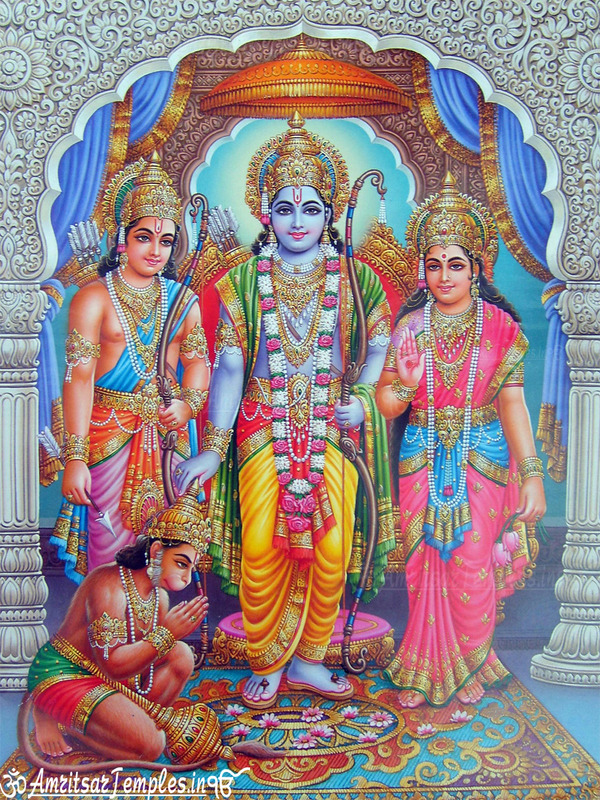 You ever dwell in the hearts of Shri Sita Ram and Lakshman. Bikat roop Dhari Lank Jarawa. 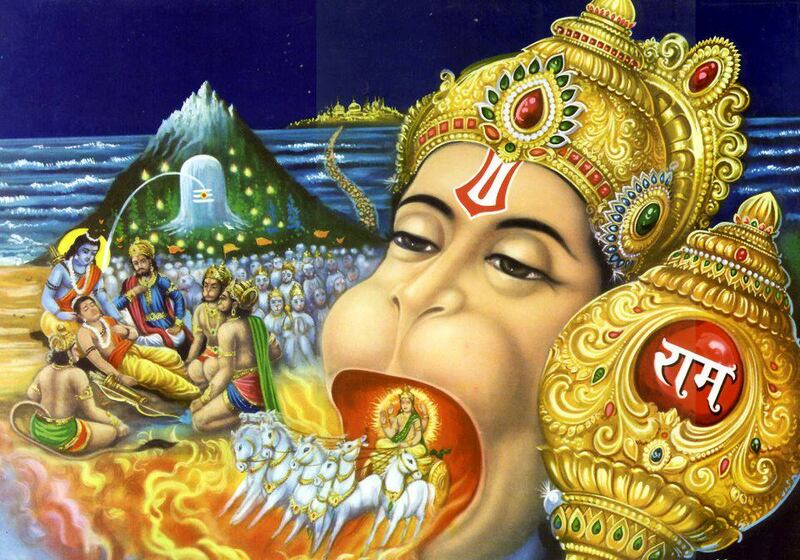 while you assumed an awesome form and struck terror by setting Lanka on fire. 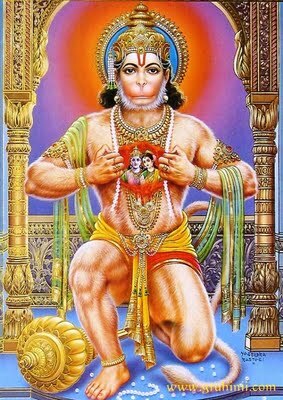 Shri Ram took him in his deep embrace, his heart full of joy. 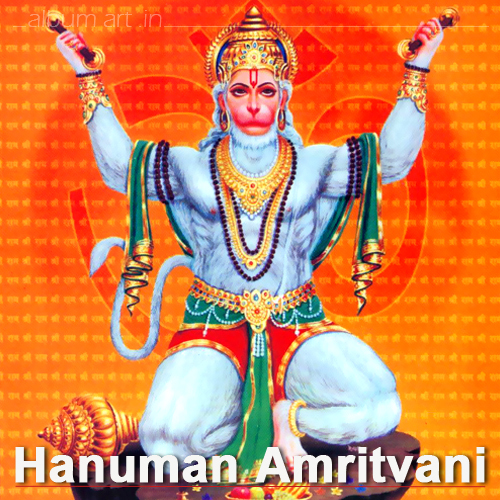 to sing the glories of Hanumanji exactly. Kabi Kabid Kahin Sake Kahan Te. 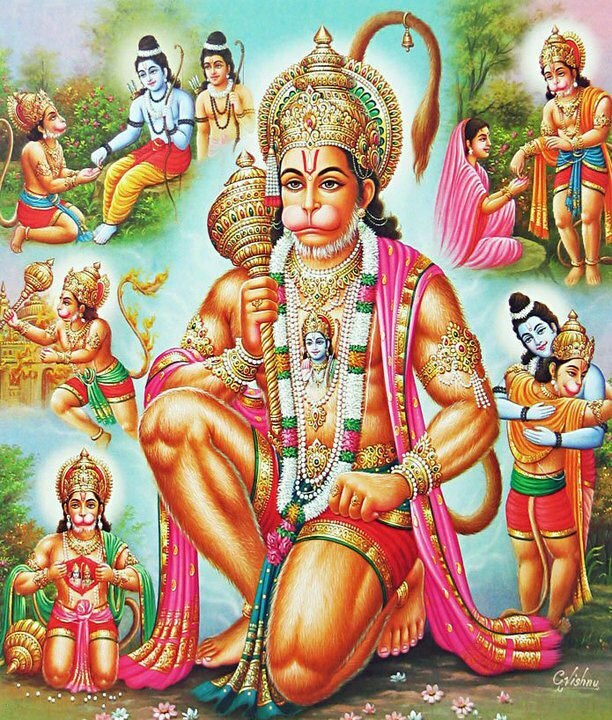 united him with SHRI RAM and installed him on the Royal Throne. known all over the universe. considering it to be a sweet fruit. Carrying the Lord’s ring in his mouth, he went across the ocean. There is no wonder in that. Tanau Lok Hank Te Kanpei. 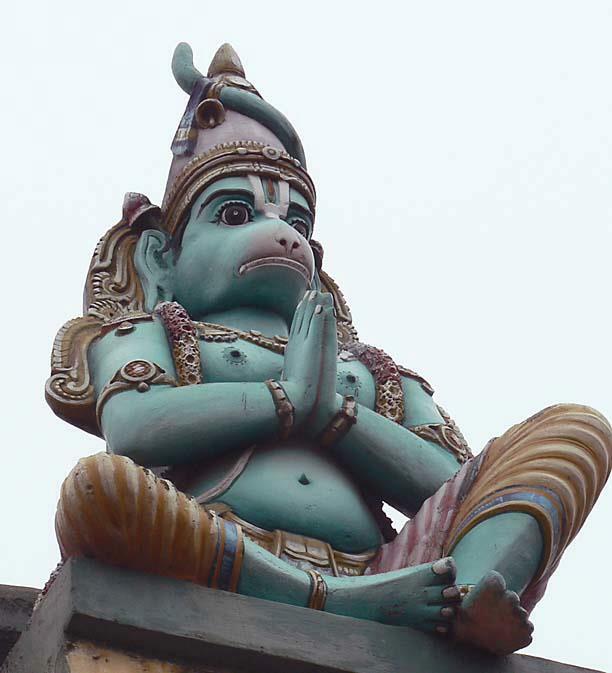 evils spirits away from his devotees. Tinke Kaaj Sakal Tum Saaja. bestow the eternal nectar the highest fruit of life. YOGIC power of eight Sidhis and Nava Nidhis as per choice. free from suffering of several lives. devotee of him, whenever, taking new birth on earth. pain from hose who remember you. Kripa Karahu Gurudev Ki Naiee. 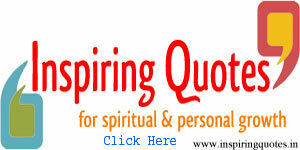 the capacity of my supreme ‘GURU’ (teacher). enjoys the highest bliss at last. regularly are sure to be benedicted. 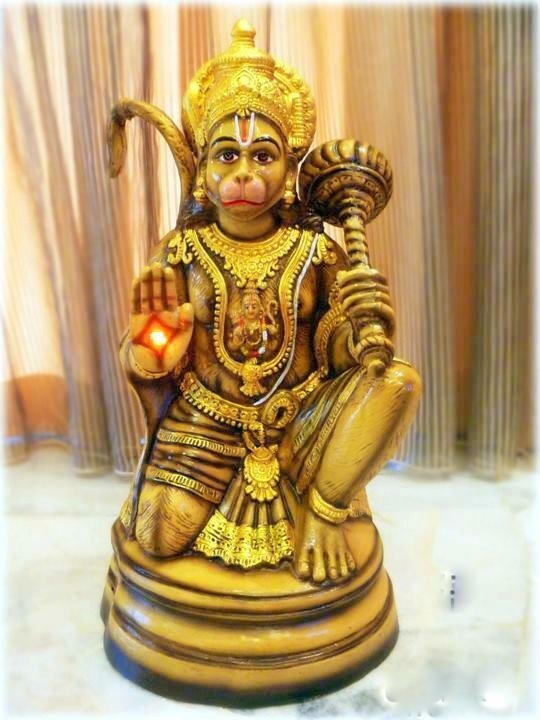 Pavan Tanay Sankat Haran, Mangal Murti Roop.